Hickies Take the Work Out of Having to Tie Your Laces! Most of the time if I’m not wearing a slip-on shoe then I’m wearing my Nike’s. And not until I received Hickies did I realize how much I treat my Nike’s like slip-ons! 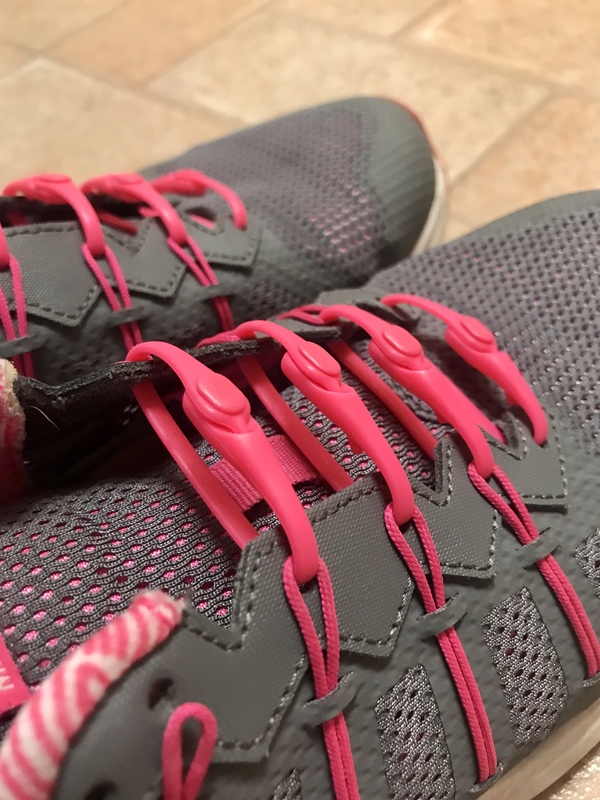 But now I can switch out my laces for a pair of hot pink Hickies and not even worry about having to tie and untie my laces. No I don’t run, cycle or do anything remotely athletic but who wants to waste precious time worrying about shoelaces. Ain’t nobody got time for that! When I wear laces with these shoes I typically leave this one of the eyelets empty. With the Hickies I only needed to use 4 for each shoe. After wearing them for a little while I ended up trying one of the other ways to lace them and the fit was much better. Takes a little bit of trial and error in the beginning before you figure out which is the best lacing system for you. And no matter whether you have a wide or narrow foot, you can lace them up to suit your personal needs. Each pair of laces come with a handy guide to show you different ways to make them tighter or looser. Also if you have long fingernails you’re gonna end up cussing trying to pull the Hickies through. Luckily (or not luckily) I had to cut one of my thumb nails down pretty low so it made it a lot easier to pull them through the eyelet.